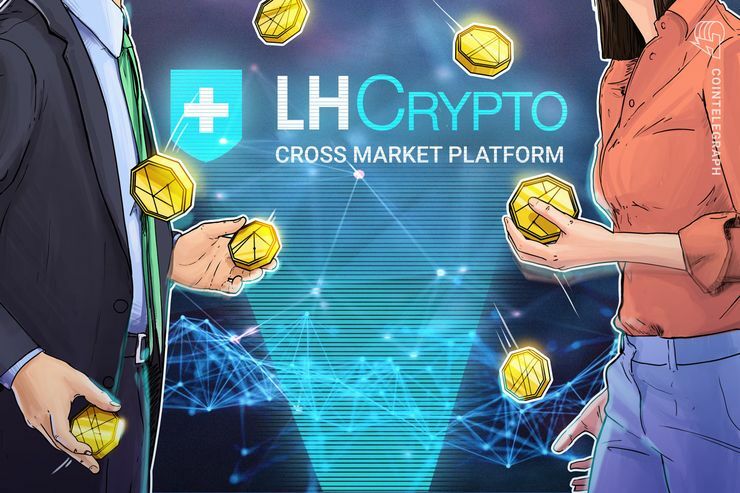 A cross-market platform called LH-Crypto says its service gives traders the opportunity to transact across a plethora of cryptocurrencies and 200 other financial instruments — including forex on fiat currencies, precious metals, shares and commodities. Its beta version also enables users to participate in margin trading — a feature that it says helps distinguish its ecosystem from crypto exchanges. Not without risks, margin trading via LH-Crypto means members can make deals using sums 100 times larger than their account balance. Traders can receive funds in cryptocurrencies or fiat — and if they top up their account using traditional currencies, this cash can be automatically converted into the crypto asset of their choosing. LH-Crypto offers MetaTrader 5 for free in three different ways. In addition to desktop software for crypto trading that can run on Windows and Linux operating systems, a web-based terminal enables users to trade on the browser of their choosing — Google Chrome, Mozilla Firefox, Safari, Opera and Edge among them. Finally, a mobile-based trading platform geared toward professionals is available for iOS and Android users. In an attempt to appeal to crypto traders of varying experience levels and budgets, the team at LH-Crypto has devised four tiers of membership. For those who want to put their strategies to the test in a simulated environment, Demo accounts enable traders to play with a fictitious deposit of 50,000 euros (about $57,000). There are three tiers for real trades — Start, Standard and Pro — with minimum deposits of 10 euros, 500 euros and 10,000 euros respectively. The extent of the leverage available for crypto and forex trades, along with maximum daily withdrawals, depend on the account type. LH-Crypto’s website is also home to a forum where like-minded traders can discuss issues surrounding cryptocurrencies, exchanges, forex and the company itself. The company bills this facility as a place where professionals can “chat, ask for advice and help improve the platform” for all. As well as offering its community regular updates on the new features being added to its platform, LH-Crypto’s website acts as a hub for news on cryptocurrencies and the global economy, giving traders intelligence to help them make informed decisions. An economic timetable also provides times and dates for upcoming data announcements on manufacturing scores, inflation, unemployment, exports, consumer confidence and trade balances for countries around the world — all of which are key indicators when it comes to foreign exchange markets. In an attempt to capture the imagination of those who are navigating the crypto world for the first time, the company also offers quirky introductions to the likes of Ethereum, Bitcoin, crypto wallets and slang through a YouTube series called CryptoClowns. The series features two clowns known as Monero and Crypsy — and many of these clips have amassed more than 100,000 views. In-depth analysis videos — offering trading forecasts and comprehensive discussion of market movements — are also available via a separate YouTube channel. LH-Crypto says that its project officially launched in 2018 after a successful initial coin offering. According to its website, more than 12,000 people across 50 countries were involved in the fundraiser.